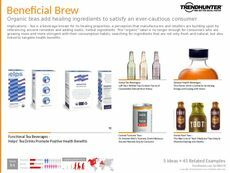 Find Better Ideas, Faster ® with a custom kombucha trend report, our PRO Dashboard and 80+ categories of premium trend reports. 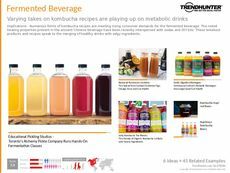 Looking at the rise in popularity of the ancient beverage, the Kombucha Trend Report looks at flavors, ingredients and health benefits of the fermented beverage. 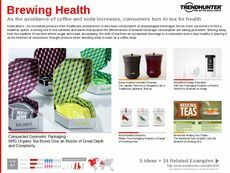 The report also analyzes the themes in consumers who are attracted to the tea beverage, as well as the health benefits and all-natural ingredients that make the most marketable aspects of the product. 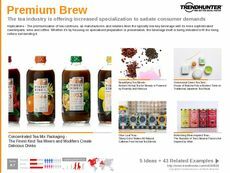 This report is applicable to grocery store owners, buyers for health food stores, researchers and product developers for tea brands who want to understand the growing popularity in fermented drinks and tea beverages like Kombucha. 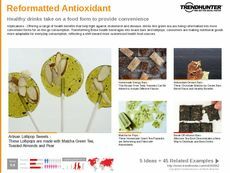 This healthy beverage report will also be of value to professionals in the food and beverage industry who want to glean the latest superfood trends. 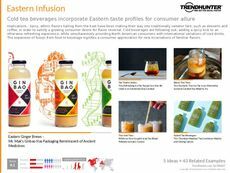 The Kombucha Trend Report analyzes the growing trend in tea and fermented beverages, as well as the specific flavor profiles popular in the health beverage realm.